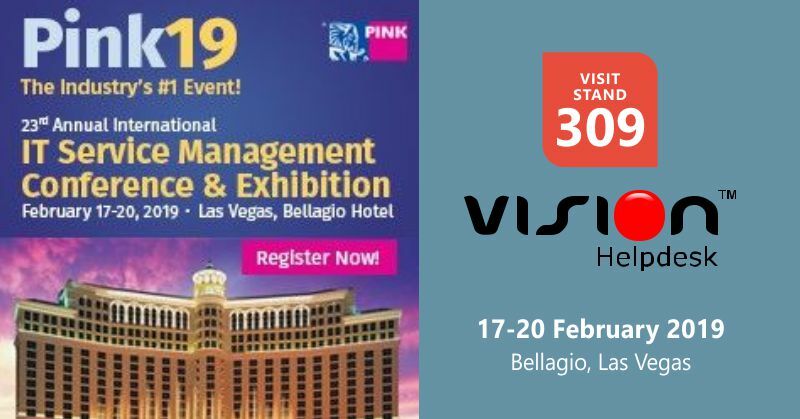 We are exhibiting at PINK19 - Las Vegas – Meet us there! The program is content rich and comprehensive – 12 tracks, 120+ sessions – covering a vast array of subjects including: ITSM, ITIL®, Lean IT, Agile, Scrum, DevOps, COBIT®, Organisational Change Management, Business Relationship Management, and more! There is something for everyone – strategic, tactical, operational – PINK19 has got you covered! Pink conference has the undisputed reputation for developing an unsurpassed line-up of speakers and meaningful subject matter. 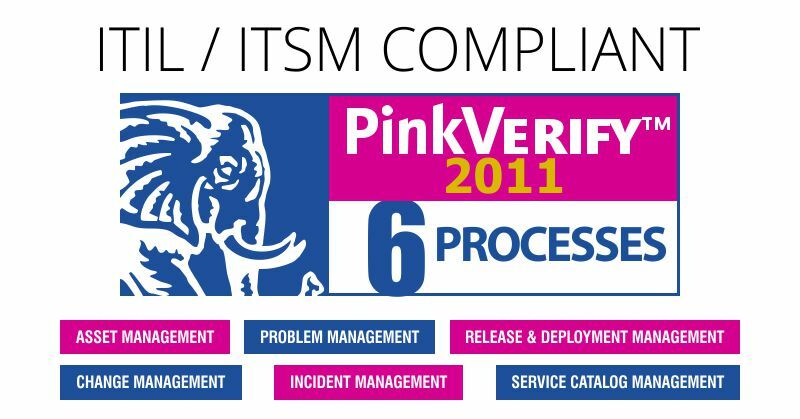 Recently, Vision Helpdesk has also received PinkVERIFY™ 2011 certification and is officially certified as ITIL® compatible by Pink Elephant, a premier global training, consulting and conference service provider. Come and see us at PINK19 expo – Stand number 309. We have lot more to share about our roadmap and future plans. Venue : Pink19 will be held at the beautiful Bellagio Hotel in Las Vegas. For booking your Visitor Registration Sign up here now.